2/cs Front fork provides additional support. Handle is adjustable to accommodate most individuals. Large, composite wheels allow for easy, safe maneuvering. 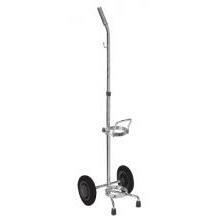 Lightweight chrome-plated steel cart can accommodate one "D", or "E" size cylinder. Hypoallergenic foam is ideal for those allergic to feathers, fiber and dust. Won’t harbor mildew or retain odor. Provides ideal support and comfort for the head and neck. 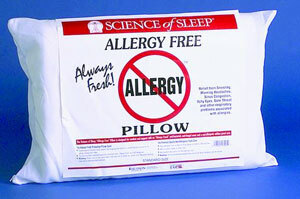 Protective pillow cover guards against bacteria, mold, mildew and fungal growth. Helps provide relief from sneezing, morning headaches, sinus congestion, itchy eyes, sore throat and other respiratory problems. 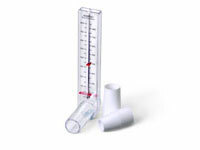 AsthmaMentor Peak Flow Meters measure peak expiratory flow rate - a measurement that tells you and your healthcare provider how quickly you can blow air out from your lungs. When done regularly, peak flow monitoring with an AsthmaMentor can help you and your doctor manage your asthma. 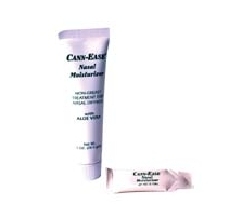 ™ is a hospital preferred nasal moisturizer for users of cannulae, BIPAP and CPAP masks. ™ is the ORIGINAL nasal moisturizer. ™ is a clear, odorless, greaseless topical treatment developed specifically for dryness and friction associated with the use of oxygen by nasal cannula and CPAP/BIPAP masks. The pocket-size Invacare Digit finger pulse oximeter is a convenient and economical solution to fast, reliable SpO2, pulse rate and pulse strength measurements. Its compact size is ideal for home use. Unique, lightweight (2 oz) oximeter provides reliable SpO2 and pulse rate measurement. Can be worn around the neck; great for spot check readings. 2 AAA batteries included. 1-year warranty. 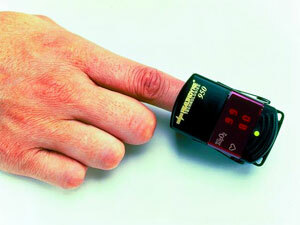 Provides fast, reliable SpO2 and pulse rate measurements on any patient from infant to adult. Designed for instant, accurrate spot-checking. Bright, easy-to-read LED numerals. Storage for up to 99 patient readings. Variety of reusable and disposable sensors available. Three C-cell batteries (included) provide power for 1,500 spot checks. Quantitative pulse-strength bar depicts actual signal strength for true indication of pulse strength and perfusion status. Printer interface for documentation of live or stored patient data. 6.30"H x 3.25"W x 1.25"D. 16.5 oz. Two-year limited warranty. The PulseOX 5500 is based on SPO Medical's uniquely patented algorithms that use pulse reflectance technology for the accurate measurement of blood oxygen saturation levels and heart pulse rate.